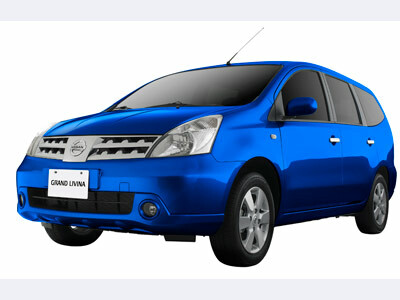 The Nissan Grand Livina has an unusual marketing plan, as its television ad shows. To recap, there’s a handsome young couple taking a scenic drive in a car. They park facing the sunset; guy looks at girl in a wistful way, their faces coming closer. Then it cuts to a boy playing with his portable Sony video game in the back seat. The boy is shocked. The cute parents remember they are in their new Nissan multi-purpose vehicle (MPV) and chide each other playfully. While the ad may do more for selling contraceptives, it does make a point for the Nissan Grand Livina as a multi-purpose vehicle (MPV) to contend with. The drive-like-a-sedan and space-of-a-van spec is currently the largest and most lucrative category in our local automobile market. Last year Toyota sold more than 10,000 Innovas, more than any other local make. The Grand Livina is aiming at this market segment, and it did its homework.